Rama Rao fails to get a job with the police force due to his fathers connections with a gangster. But when his brother is killed due to the gangster, Rama Rao becomes Baadshah to oppose the gangster. © 2018 Scratchu.com Baadshah (Telugu) | Mahesh Babu, Kajal Aggarwal, N.T. Rama Rao Jr., Brahmanandam, Siddharth, Nassar, Sayaji Shinde, Ashish Vidyarthi, Suhasini, Vikramjeet Virk, Pragathi, Surekha Vani, Pradeep Singh Rawat, Tanikella Bharani, Ajay - Baadshah (Telugu) (2013) | Telugu Movie | 6.5/10 | Synopsis : Rama Rao fails to get a job with the police force due to his fathers connections with a gangster. 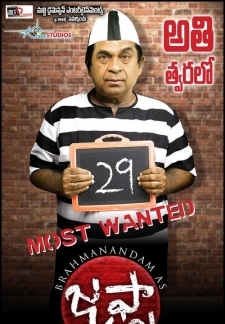 But when his brother is killed due to the gangster, Rama Rao becomes Baadshah to oppose the gangster.... Watch Online!! !